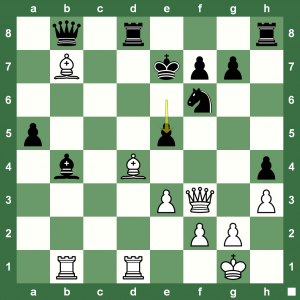 Grandmaster Ian Rogers annotates the very interesting clash between World No. 1 and World No. 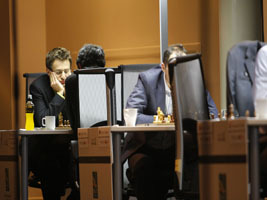 2 Levon aronian that ended as a draw in the second round of the Sinquefield Chess Cup (official website) in Saint Louis. Read a full report on Chess Blog. 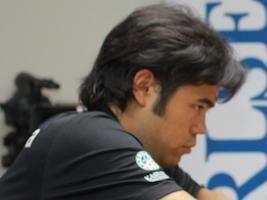 GM Hikaru Nakamura did not allow World No. 2 Levon Aronian to get away with a blunder and won the first game in the Sinquefield Cup easily. Read a full report on the round at Chess Blog. You can replay the game with Chess King in the extended post. 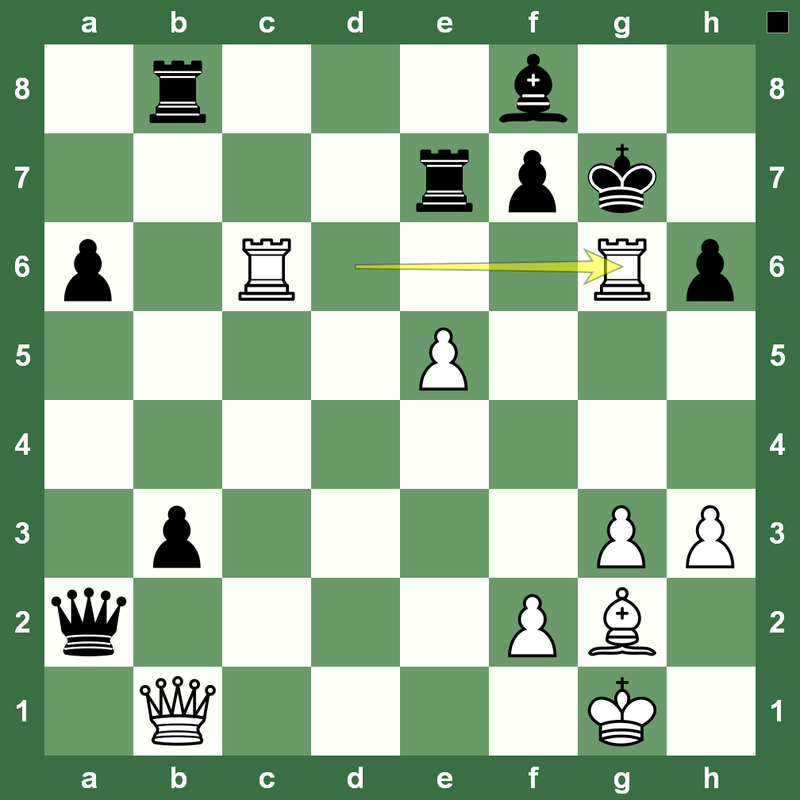 A Chess King weekend class from the #1 chess podcast library at www.chesskillertips.com. 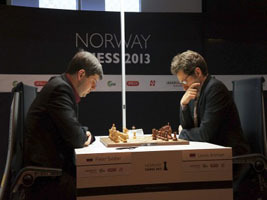 Norway Chess Super Tournament 2013 Round 3: The Peter Svidler – Levon Aronian draw was an interesting battle. 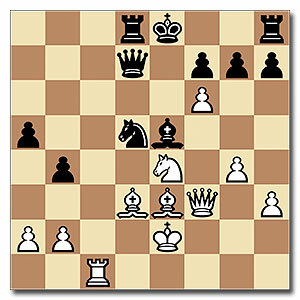 At move 17, Aronian declined a pawn sac that actually gave White a Queenside majority plus an isolated pawn. White controlling the b-file still looked slightly better when playing a5 and offering a draw on his first legal occasion at move 31. Nothing much could be done by either side and the game ended peacefully. 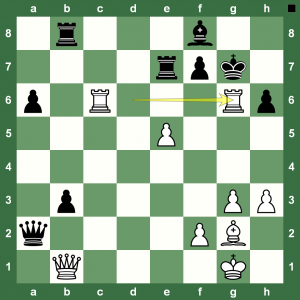 Read a report on the round at Chess Blog. 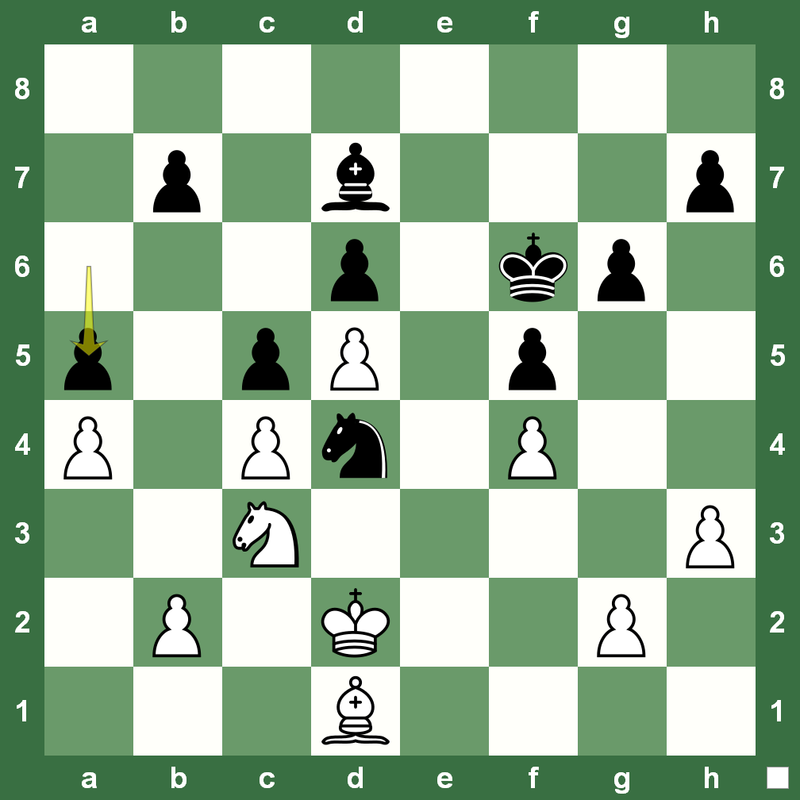 Norway Chess Super Tournament 2013 Round 2: The important game between Levon Aronian and Hikaru Nakamura was a Slav that went into a drawish exchange line. Aronian went ahead with his home preparation, and Nakamura ended up helping him with his knight on the strong square. The position went downhill after that to a Rook and Knight endgame. 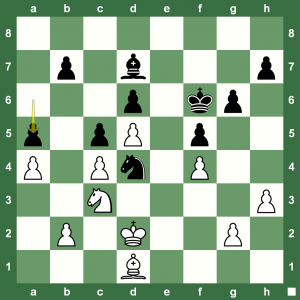 A report on the round is up at Chess Blog. Norway Chess Super Tournament 2013 Round 1: World Champion Viswanathan Anand went for the closed Ruy Lopez against second seed Levon Aronian and found a nice outpost on d4 with one of his knights before move 10, but a balanced position ensued Queen, Rooks, different colored Bishops and eight pawns with each side! 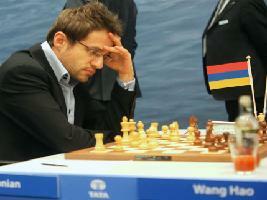 Something finally seemed about to happen as Aronian played 22.— Bh6! 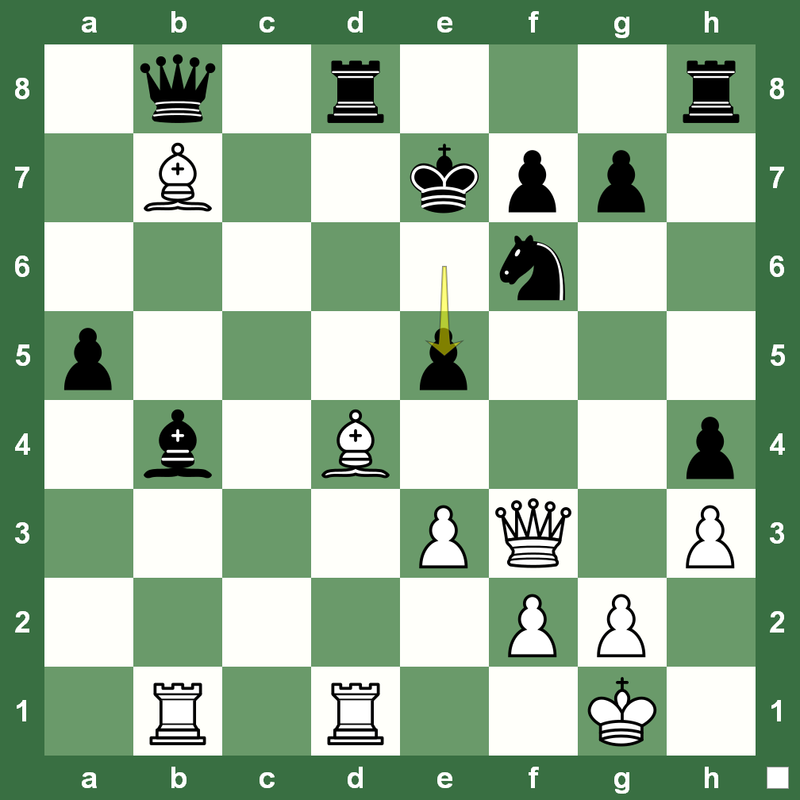 ?, intending to answer 23.Qh4 with a tactical 23.— Bxf4 – as played. Some spectators wondered (creatively) whether the World Champion was planning to sacrifice his Queen for Rook and Bishop, but Anand instead (wisely) exchanged some more pieces to regain the pawn he gave up on f4. 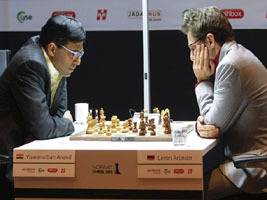 Anand however was not in any danger and the game ended as a draw. Read a full report on the Round at Chess Blog. 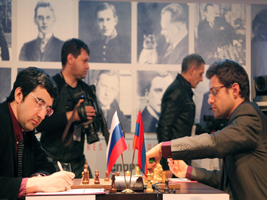 Alekhine Chess Memorial 2013 Round 9: Armenian Grandmaster Levon Aronian pulled off this splendid win in the last round over French Grandmaster Maxime Vachier-Lagrave to take home the title in the memorial tournament. Read a round report on Chess Blog. Replay the game below and watch the power of pawns. 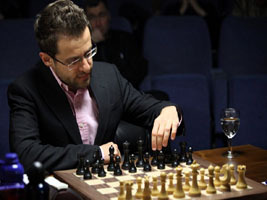 World’s number 3 Levon Aronian picked up his second win in the event during the fourth round. 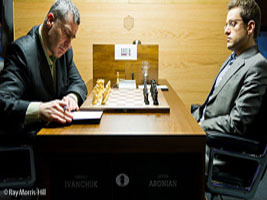 That’s quite a comeback considering Aronian began the tournament with a loss in the first round. 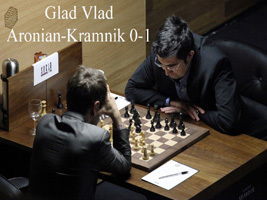 He beat Vladimir Kramnik in the second and drew with Viswanathan Anand in the third round. 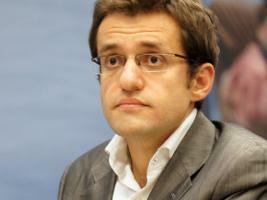 Aronian was all ready for Svidler’s Gruenfeld and played precisely to force Svidler to resign. Replay the game with Chess King. 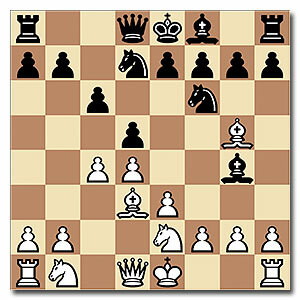 Alekhine Chess Memorial 2013 Round 2: The game between the two top chess players of the world (after World No. 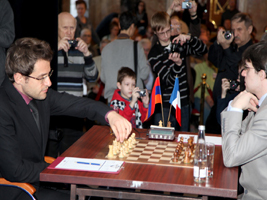 1 Magnus Carlsen) – Levon Aronian and Vladimir Kramnik – was a thrilling one. 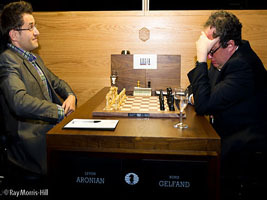 Aronian steered the game into a winning end position to recover from his loss in the first round. It was a fascinating pawn race and a beautiful mating net. Read a full report on the round at Chess Blog. Replay the full game with Chess King. 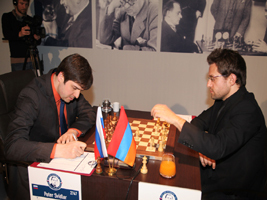 Alekhine Chess Memorial 2013 began with a bang on Sunday, April 21. 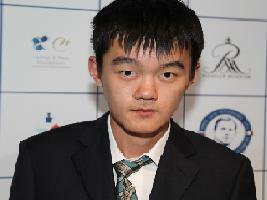 Ding Liren created a sensation by defeating Levon Aronian. The newcomer of the chess super tournament undertook a wonderful attack against his opponent’s king. A full report on the first round is posted at Chess Blog. 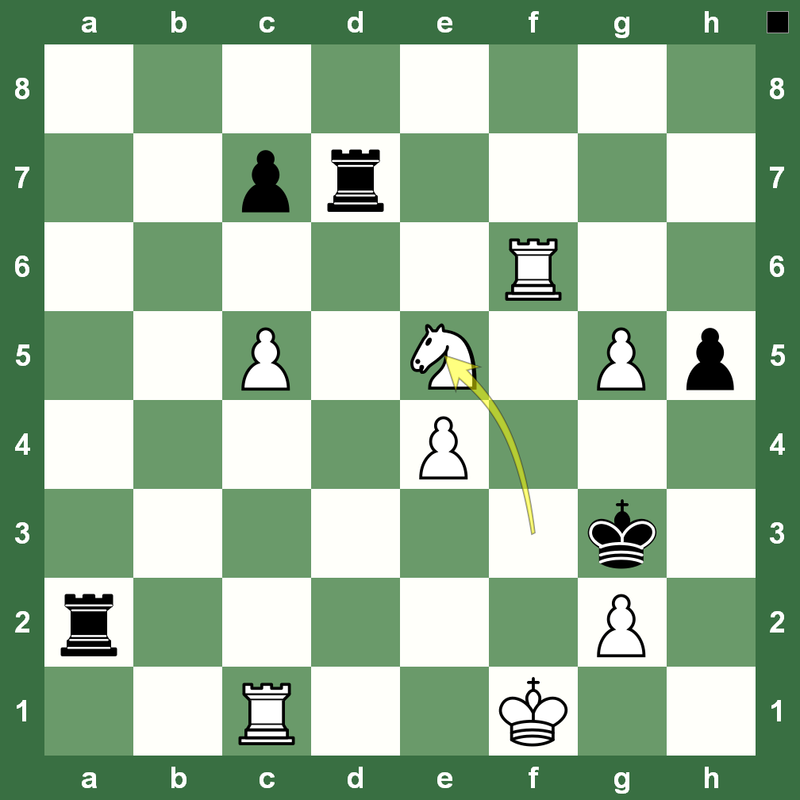 You can also replay the Viswanathan Anand – Michael Adams 1-0 game from Round 1 with Chess King. 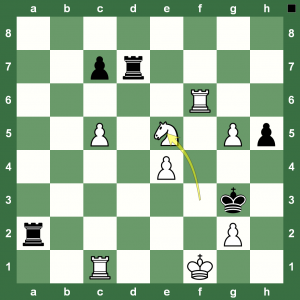 Meanwhile, here is the Ding Liren – Levon Aronian 1-0 game.